While your friends in full-time employment saw January as a period of healthy life changes, you didn’t have that luxury. You were busy panic referencing, panic cramming, and having multiple panic driven existential crises. Perhaps, for a fleeting moment, you considered running into the woods and living amongst the animals. After all, squirrels don’t have the stress of a January exam period. However, things are back to normal now. The hand cramp from your last exam has long subsided and the once nightmarish deadlines are just dull memories. Now’s the time to look after the most important person in your life: you. It’s quite normal to slip-up on self-care during stressful periods – you convince yourself there isn’t time for exercise, you aren’t keen for chugging green smoothies, and you stress eat ALL of the pizza. So, how do you get back into a healthy lifestyle this February? First of all, you live in Brighton. Take advantage of what this beautiful city has to offer. Does your braggadocios friend that got into Oxford have access to the ocean? No. No, they don’t. Rub that fact in their face by going for a dip whilst they’re stuck in ancient dry buildings. Although it might seem a little scary (and cold!) at first, sea swimming is a great, healthy activity. Not only will it check cardio off of your list, it’s also a great strength exercise for the whole body – you’ll use muscles you didn’t even know you had! Also, studies have found that cold water exposure is linked to an increase in the release of the brain’s happy chemicals – dopamine and serotonin – and an improvement in immune system function. If the cold is a little too much, you could always invest in a wetsuit. 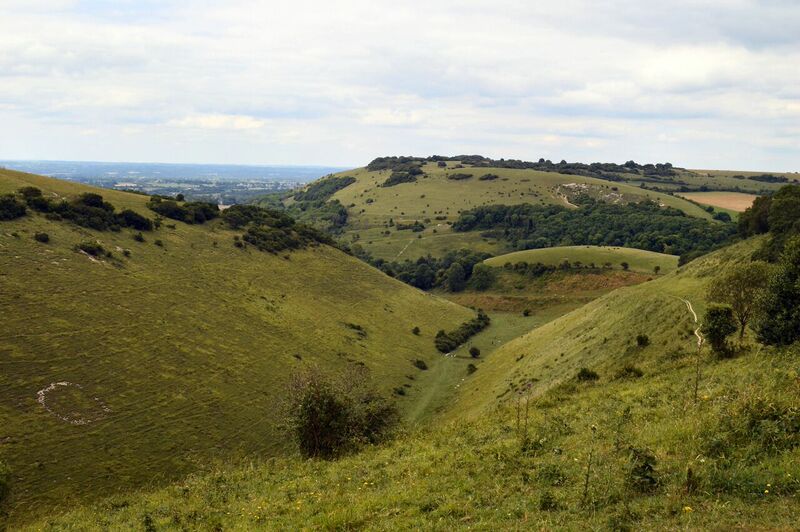 Another jewel in Brighton’s crown is the Sussex Downs: the perfect setting for a brisk and healthy hike. Grab some boots, a gang of friends, and some water and you’ll be set. Hiking not only burn off calories, it’s also particularly good for building up your leg muscles. On top of this, the Downs are very “Instagram-worthy”. Shallow, I know – but double-taps are double-taps. Although gazing wistfully out of bus and train windows with your headphones in is great, such commuting bliss is often ruined by overcrowding and over-priced tickets. So, why not burn some extra calories on your way in and out of campus by cycling? Don’t have space to keep a bike? Well, rent one! 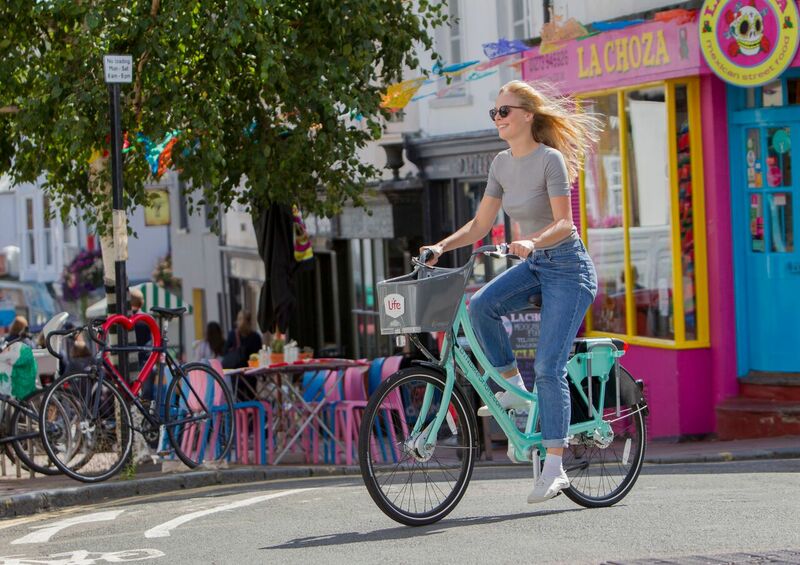 You’ll be pleased to know that last summer, Brighton gained its very own bike hire scheme in the shape of the BTN BikeShare and its trusty Life Bikes. Similar to the famous London scheme, users can grab a bike from a hub and enjoy a worry-free ride for 3p a minute as an Easy Rider. Or, at £72 for an Annual Rider membership, you can cycle an hour a day! If you’re already sorted in terms of exercise, start thinking about what you’re consuming. There are millions of healthy meals plans online, so we won’t go into massive life changes – but what about small ones? If you’re looking to lose weight, every little helps. You could switch to black coffee instead of lattes and cappuccinos in the morning. Not only will you cut calories, you’ll also become more arty and philosophical. Perhaps buy a black turtleneck as well – they’re slimming and will complete the look. What other small things could you cut out to be healthier? Smoking? Drinking? Have a think. At the end of the day, the most important thing is to stay active and happy. Annoyingly, your parents’ Disney style advice is pretty good: don’t drink too much, try not to smoke, eat some fruit and veg – and smile!